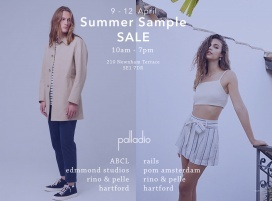 You're invited to the Palladio Showroom for our Summer sample sale. 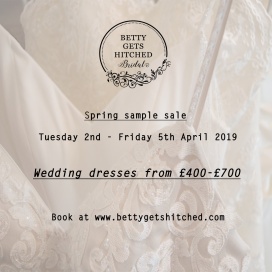 From the 9th to 12th April starting from 10am to 7pm everyday. Find great deals on women's apparel. accessories, jewellery, artefacts, and homeware at the Omega Studio Quality Stock Clearance Sale. Brands included are IVKO, Prism, Step by Step, Industrial Jewellery, Neeru Kumar, Privatsachen, Eva Tralala Kapre, Sarah Packington, Praechtig Berlin, La Bottega di Brunella, and Foxton Throws. Take up to 80% discount on women's apparel, bags, accessories, and footwear at the Mother of Pearl Pop-Up Sale. Take up to 70% discount on men and women's apparel at the Story of Lola and The New County Sample Sale. Shop for men's apparel at reduced prices at the Criminal Damage Sample Sale. 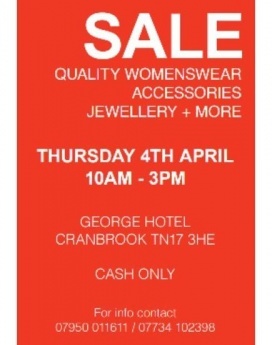 Shop for homeware and jewellery at reduced prices at the Lisa Angel Jewellery and Accessories Sample Sale. 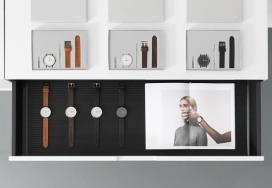 Take 50% to 60% discount on clocks and swiss-quartz watches at the Instrmnt Sample Sale. Take up to 80% off on Activewear at the Lucas Hugh Sample Sale. RSVP at info@lucashugh.com. 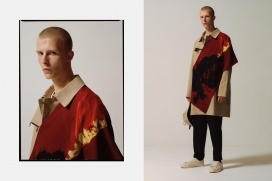 Brands: Alexander Wang, Expect emerging and established designer footwear brands such as Alexandre Vauthier, Prism and Rosbalet in a large range of sizes from EU35 (size 2) - EU41 (size 8). Half sizes also available! Take up to 70% discount on women's apparel at the ace & jig Sample Sale. Take up to 80% discount on women's apparel, handbags, accessories, and footwear at the L.K. Bennett Warehouse Sale. Take up to 80% discount on women's apparel and jewellery at the Take Two Multibrand Sample Sale. Brands included are RAQUETTE, Jessica Choay, Katie Mullally, Kukhareva London, and KSENIASCHNAIDER. Take up to 70% discount on men and women's apparel and accessories at the Inexcess Fashion Sample Sale.